Book cost £12.00 inc postage send payment to Miners’ Offices 2 Huddersfield Road, Barnsley, S70 2LS together with your address. Cheques made payable to ‘NUM’. Last few…. 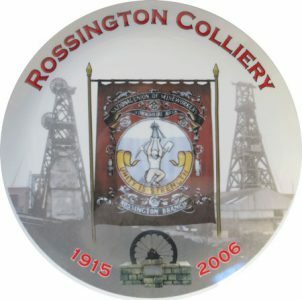 Rossington NUM Plate cost £12.92 inc postage send payment to Miners’ Offices 2 Huddersfield Road, Barnsley, S70 2LS together with your address. Cheques made payable to ‘NUM’. 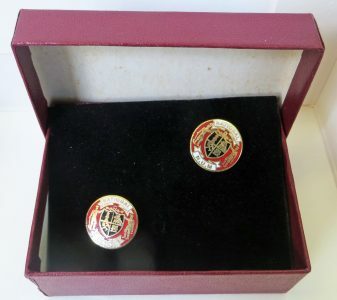 NUM Cuff links cost £6.42 inc postage please state red or black and send payment to Miners’ Offices 2 Huddersfield Road, Barnsley, S70 2LS together with your address. Cheques made payable to ‘NUM’. 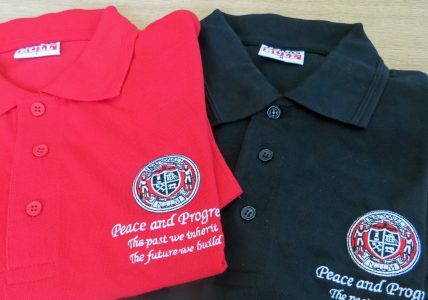 NUM Polo (S, M, L, XL) shirts cost £17.92 inc postage please state size and colour send payment to Miners’ Offices 2 Huddersfield Road, Barnsley, S70 2LS together with your address. Cheques made payable to ‘NUM’. 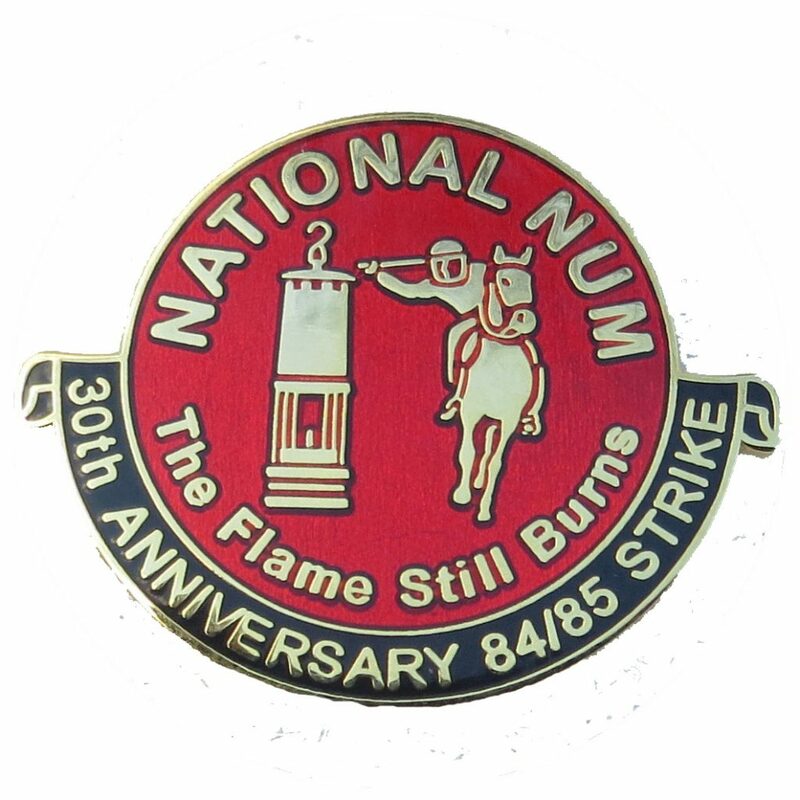 Yorkshire NUM Plate cost £12.92 inc postage send payment to Miners’ Offices 2 Huddersfield Road, Barnsley, S70 2LS together with your address. Cheques made payable to ‘NUM’. 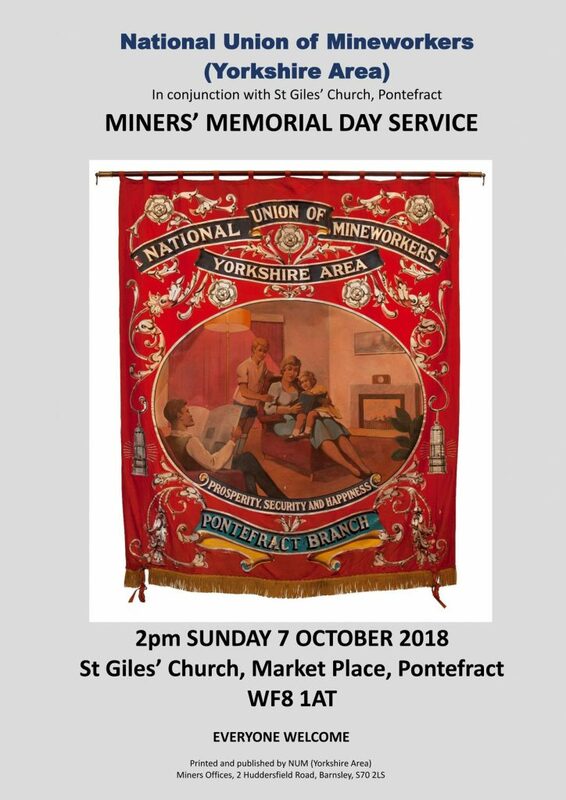 Anniversary Badges cost £2.95 each inc postage send payment to Miners’ Offices 2 Huddersfield Road, Barnsley, S70 2LS together with your address. Cheques made payable to ‘NUM’. Coal Not Dole Enamel Badges cost £3.95 inc postage send payment to Miners’ Offices 2 Huddersfield Road, Barnsley, S70 2LS together with your address. Cheques made payable to ‘NUM’. 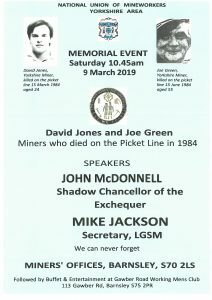 Cards cost £2.68 inc postage send payment to Miners’ Offices 2 Huddersfield Road, Barnsley, S70 2LS together with your address. Cheques made payable to ‘NUM’. 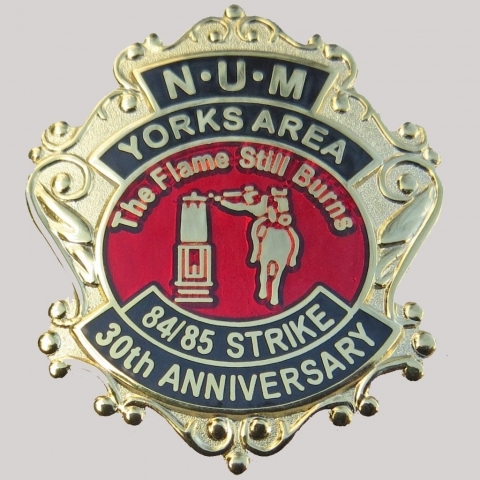 Yorkshire Strike Pin Badges cost £1.30 inc postage send payment to Miners’ Offices 2 Huddersfield Road, Barnsley, S70 2LS together with your address. Cheques made payable to ‘NUM’. 99th Yorkshire Area Demonstration Badge 1986 cost £1.30 inc postage send payment to Miners’ Offices 2 Huddersfield Road, Barnsley, S70 2LS together with your address. Cheques made payable to ‘NUM’. Yorkshire Area Tie (Blue) cost £6.95 inc postage send payment to Miners’ Offices 2 Huddersfield Road, Barnsley, S70 2LS together with your address. Cheques made payable to ‘NUM’. NUM Tie (Red or Black) cost £6.95 inc postage send payment to Miners’ Offices 2 Huddersfield Road, Barnsley, S70 2LS together with your address. Cheques made payable to ‘NUM’. 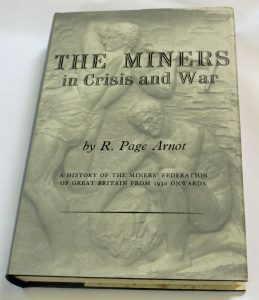 Book – Hardback – ‘The Miners in Crisis and War’ cost £7.92 inc postage send payment to Miners’ Offices 2 Huddersfield Road, Barnsley, S70 2LS together with your address. Cheques made payable to ‘NUM’. 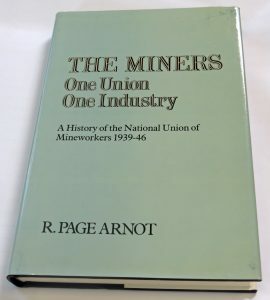 Book – Hardback – The Miners One Industry One Union cost £7.92 inc postage send payment to Miners’ Offices 2 Huddersfield Road, Barnsley, S70 2LS together with your address. Cheques made payable to ‘NUM’. 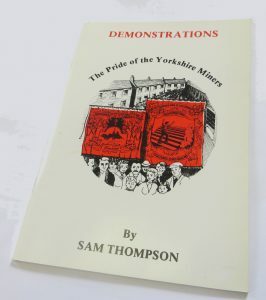 Booklet – Yorkshire Demonstrations cost £2.71 inc postage send payment to Miners’ Offices 2 Huddersfield Road, Barnsley, S70 2LS together with your address. Cheques made payable to ‘NUM’. 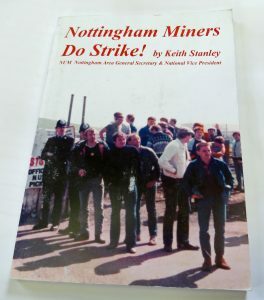 Book Paperback – Nottingham Miners Do Strike! cost £6.21 inc postage send payment to Miners’ Offices 2 Huddersfield Road, Barnsley, S70 2LS together with your address. Cheques made payable to ‘NUM’. 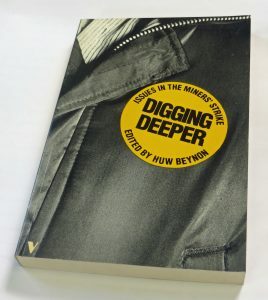 Book Paperback – Digging Deeper cost £4.02 inc postage send payment to Miners’ Offices 2 Huddersfield Road, Barnsley, S70 2LS together with your address. Cheques made payable to ‘NUM’. 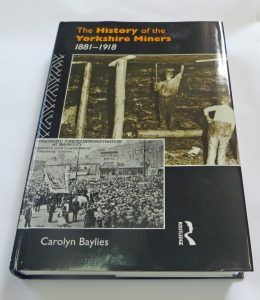 Book – Hardback – The History of The Yorkshire Miners 1881 – 1918 cost £7.92 inc postage send payment to Miners’ Offices 2 Huddersfield Road, Barnsley, S70 2LS together with your address. Cheques made payable to ‘NUM’. 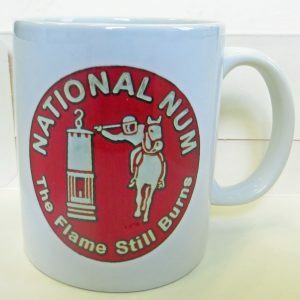 Mug (Lamp one side Coal Not Dole the other) cost £6.42 inc postage send payment to Miners’ Offices 2 Huddersfield Road, Barnsley, S70 2LS together with your address. Cheques made payable to ‘NUM’. 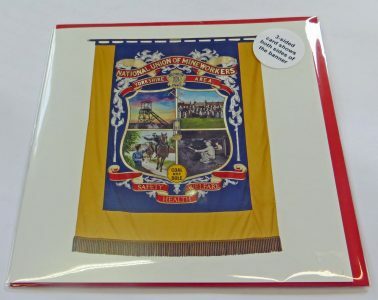 Collectors Item – Last Colliery in Notts – Thoresby NUM Plate cost £12.92 inc postage send payment to Miners’ Offices 2 Huddersfield Road, Barnsley, S70 2LS together with your address. Cheques made payable to ‘NUM’. Book – Yorkshire Collieries 1947 – 1994 cost £32.30 inc postage send payment to Miners’ Offices 2 Huddersfield Road, Barnsley, S70 2LS together with your address. Cheques made payable to ‘NUM’. 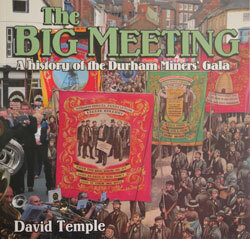 This book is definitive it is heavy and can be bought for £25 if picked up from the office.